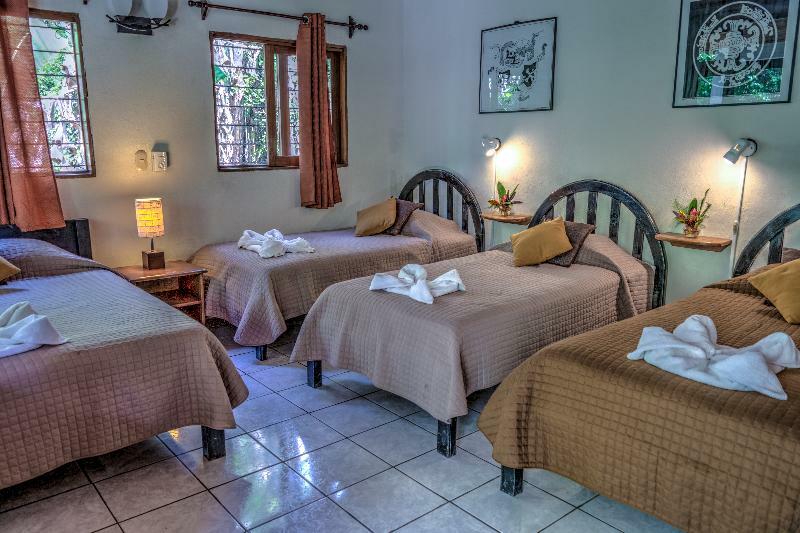 ﻿ Book Hotel Jaguar Inn Tikal (Guatemala) - 2019 PRICES FROM A$105! 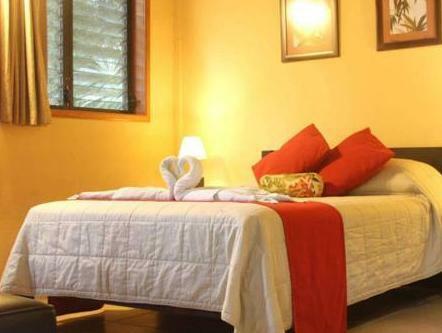 Hotel Jaguar Inn Tikal is located inside the Tikal National Park surrounded by the jungle and 10 minutes’ walk from the Tikal Mayan Ruins. It features free Wi-Fi at the restaurant and archaeological tours. This eco-friendly hotel has bungalows offering basic décor, ceiling fan, jungle views and a private bathroom with shower and free toiletries. Electricity is currently available from 9 AM to 9 PM. The restaurant at Hotel Jaguar Inn Tikal serves international dishes and local-style food. Activities such as horseback riding, hiking, canopy tours and visits to Tikal, Uaxactun and Yaxha can be arranged. Tours to waterfalls and to Peten Lagoon are available as well. This property is a 1 hour's drive from Flores and from Mundo Maya International Airport, and 2.5 hour's drive from San Ignacio, Belize. Please be aware that the property is located in a remote location in the jungle. There are no common electricity, telephone, or internet connections. The property provides its own electricity via a private power generator, with certain hours of operation. Telephone (charge applies) and internet (free of charge) are available via satellite connection for guests, but are subject to outside interference such as weather which may disrupt connection at times. The Tikal Park has a new policy to purchase all tickets for entry to the park (Day Ticket, Sunrise Ticket, Sunset Ticket, and museums). All tickets must be paid through Banrural Bank. At the entrance of the park they have a mobile unit of the same bank, which has a service schedule from 6:00 a.m. to 6:00 p.m., it has just one service window, so we suggest you buy your ticket in advance at any Banrural bank in the country and avoid congestion. Payments can be made in advance and are valid for redemption 30 days from the date of payment. When you arrive at the entrance of Tikal Park you must present the deposit slip to gain entry into the park, and you will be assigned a bracelet according to the to the ticket type bought. 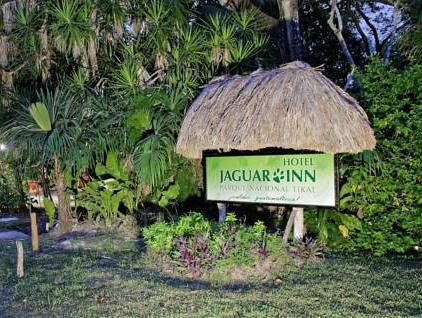 Please inform Hotel Jaguar Inn Tikal of your expected arrival time in advance. You can use the Special Requests box when booking, or contact the property directly using the contact details in your confirmation. Guests are required to show a photo ID and credit card upon check-in. Please note that all Special Requests are subject to availability and additional charges may apply. If you require an invoice when booking a prepaid rate, write this and your company details in the Special Requests box. In the event of an early departure, the property will charge you the full amount for your stay. When booking half board, note that drinks are not included. The location was excellent - few minutes from the gate to the Tikal ruins. The room was basic but very clean and has everything we needed. For one night stay in the jungle, this place served a great purpose so we could get up at 3:30am to go to the sunrise tour. The place was well-maintained for its location and the staff was very friendly and tentative. The food in the restaurant was decent enough. After all, we were there for Tikal, not to chill out in the hotel and restaurant. We really had an amazing experience in Tikal. For those who left negative reviews, they definitely had unrealistic expectations. I definitely will recommend others to stay here if you are visiting Tikal. You can tell that this hotel was a nice place a long time ago. 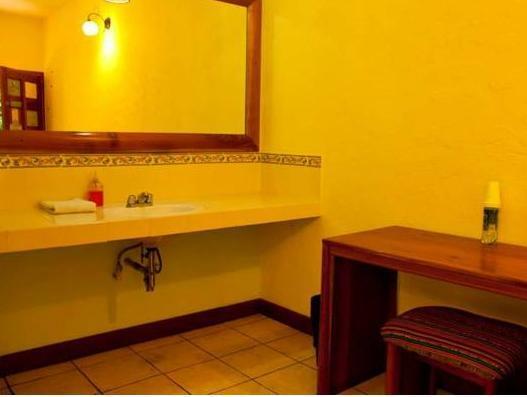 But now the linens are worn, the beds are old and not terribly comfortable, the bathrooms are mostly clean and have been updated but need a good scrubbing. The interior furnishings are dated and in poor repair. The dining room is not better, although the food was not bad, it was the most expensive of anywhere I ate in Guatemala. There is another hotel next to this one that I would book with next time. Same great location, and I think a much nicer hotel. Airy clean rooms, helpful staff and fine dining. WIFI comes and goes, no cell phone signals, but that's what you have to deal with in the park no matter where you stay.